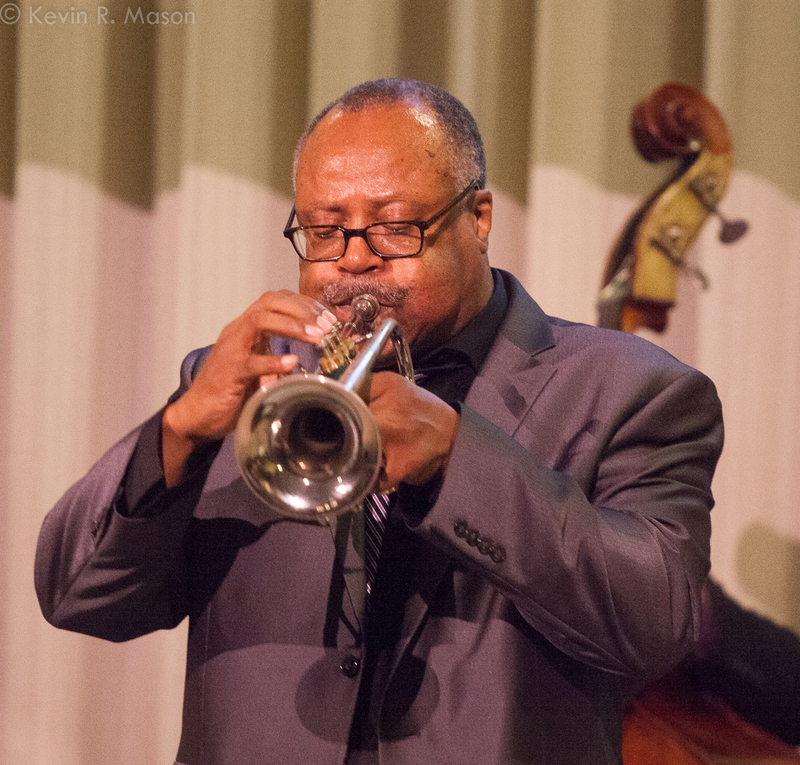 On Stage at Kingsborough, at Brooklyn’s Kingsborough Community College, is in the middle of their 2017-2018 season of events, including the show Eddie Allen/3hree for Louis – A Tribute to Louis Armstrong. 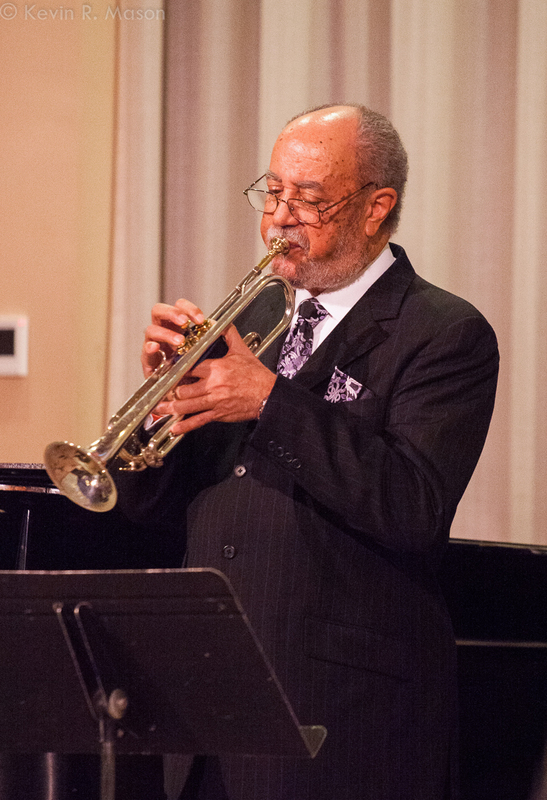 This sold-out concert in October was the start of the season’s Jazz at the Lighthouse series. 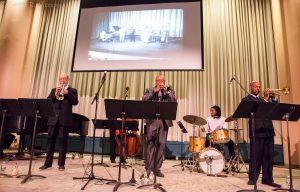 The show was introduced by Kingsborough’s Executive Director, Anna Becker, and starred trumpeter Eddie Allen, leading fellow trumpeters Duane Eubanks and Cecil Bridgewater, (the 3 trumpeters designated in the show’s title), along with pianist James Weidman, Calvin Jones on acoustic bass, and drummer Jarrett Walser. One of the pertinent facts that was revealed during the show was in 1964, Armstrong knocked the Beatles’ “Do You Want to Know a Secret” out of the number 1 spot on the charts with “Hello, Dolly!” and the band played a lovely, lilting version of the song. Eddie also talked about the film version of Hello, Dolly! starring Barbra Streisand. Eddie told the audience how extensive Louis’ popularity was at the time. In fact, Louis’ reputation was so illustrious at that point, that the commercials advertising the movie gave Armstrong equal billing with Streisand, even though he only had a cameo in the film. In a rare moment of veering away from the subject of Louis Armstrong, Allen told a funny story of a time when he played a joke at one of his gigs. He entered the venue early and pretended to be a patron without a ticket, insisting that he be seated anyway. He kept the joke going for a while before admitting that he was actually one of the musicians performing that night, demonstrating what a prankster he can be. The concert included “Strutting with Some Barbecue,” “Basin Street Blues,” “When It’s Sleepy Time Down South,” and “Do You Know What It Means to Miss New Orleans?” Allen discussed how the song “Blueberry Hill” was a hit for Louis Armstrong a few years before it was a mega-hit for Fats Domino, and that Domino had been inspired by Armstrong’s recording of the song. There was also mention of the frequent collaborations between Armstrong and trombonist Jack Teagarden on Hoagy Carmichael’s “Rockin’ Chair.” For the finale, “What a Wonderful World,” Allen told the audience the surprising fact that the song wasn’t a hit in the U.S. when it was first recorded in 1967. It wasn’t until the song appeared in the film Good Morning, Vietnam in 1987 and was re-released, that it became a big hit on the charts. Even though the show took place on Friday the 13th, anyone in the audience would count themselves as lucky to have been there. 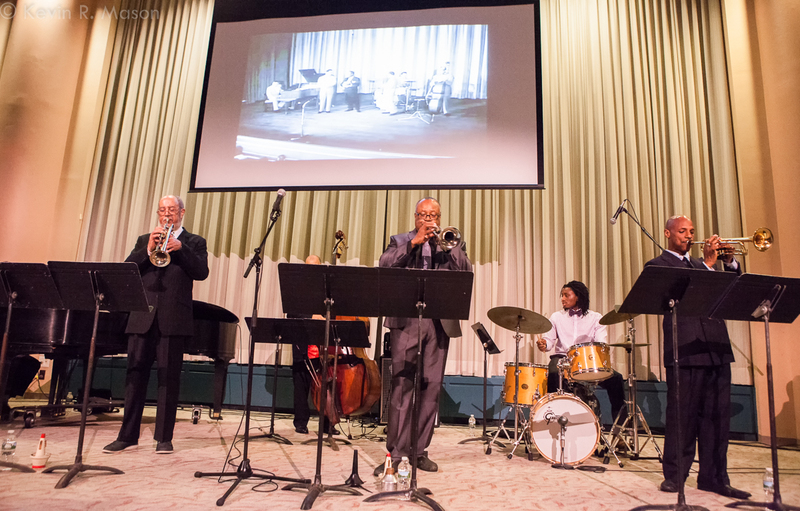 The show really did justice to the memory and legacy of one of the biggest names in jazz, and it was a great blend of fabulous ambience at the Kingsborough Lighthouse, informative history lessons, and fine music. Between the screening and the anecdotes, you really got to know a lot about Mr. Armstrong and his justifiably celebrated career. 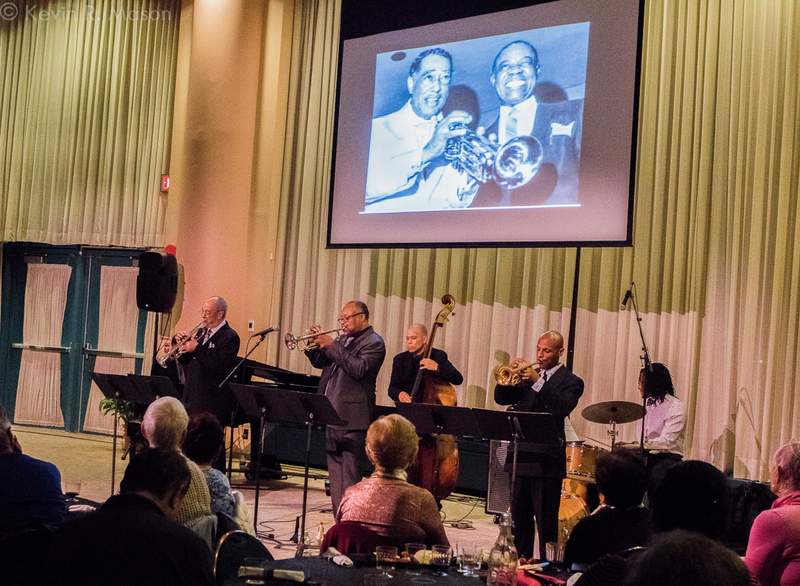 Even if a person didn’t know much about the extraordinary Louis Armstrong before they attended this show, the educational and highly enjoyable tribute certainly imparted that Louis was a jazz superstar, and a musical genius for all time. For more information about Eddie Allen, go to www.eddieallen.net. 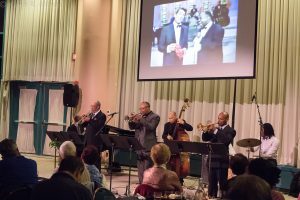 The Jazz at the Lighthouse series continued with the recent show by distinguished Russian virtuoso saxophonist Igor Butman with his quintet, and special guest, vocal jazz prodigy and pianist Oleg Akkuratov. Upcoming events include MusicTalks Celebrates Valentine’s Day! on February 16, 2018, with host Elad Kabilio and vocalists Thana Alexa and Michael Mayo, featuring the Israeli MusicTalks Jazz Quartet. The show will feature some of the most beloved and nostalgic jazz standards when MusicTalks returns with award-winning jazz singer Thana Alexa (who starred in last season’s Ella!). 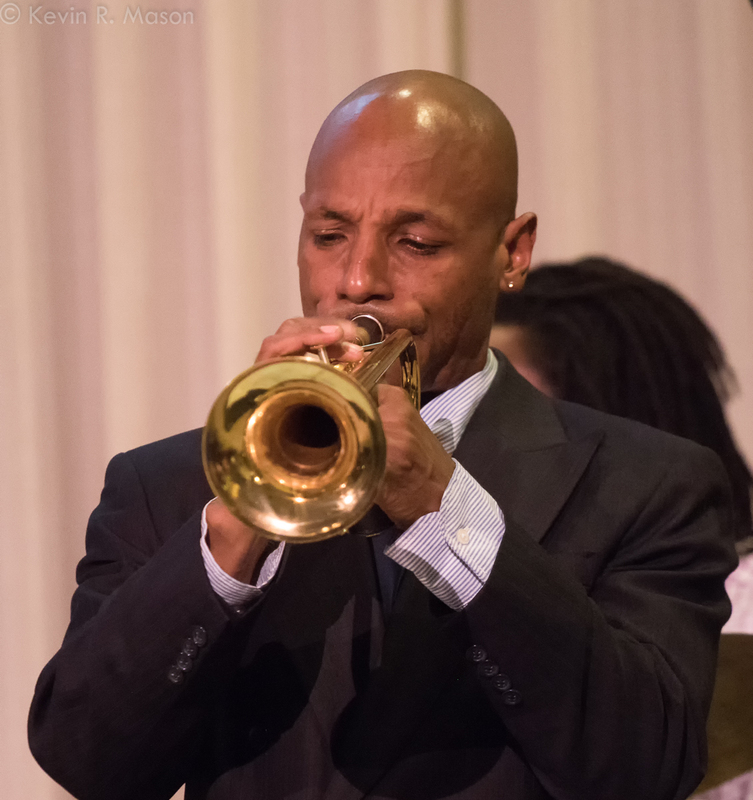 This romantic night of Valentine’s Day-inspired ballads will include flirtatious duets made famous by jazz luminaries such as Louis Armstrong and Ella Fitzgerald. 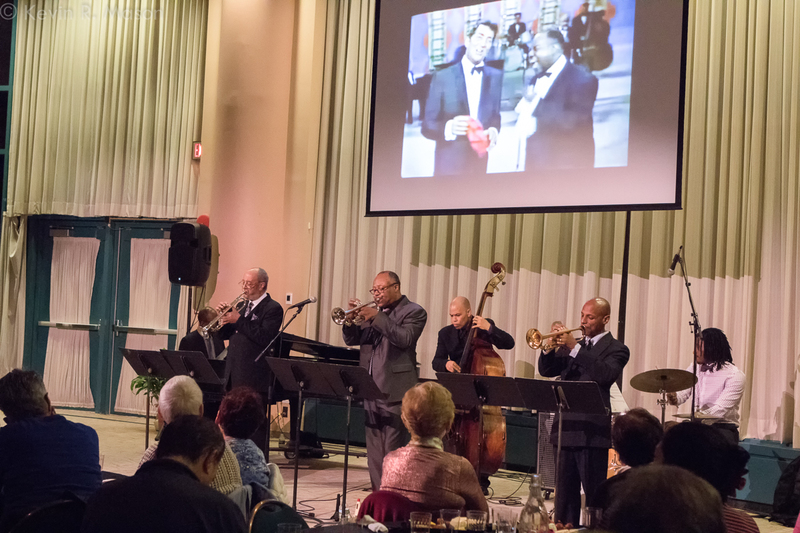 On May 11, 2018, Jazz at the Lighthouse will present A Sophisticated Reunion – A Celebration of Duke Ellington. Tony nominee Valarie Pettiford, Terri Klausner, and Ty Stephens (who wowed the Kingsborough audience in last season’s On Kentucky Avenue) met on Broadway as original cast members of Sophisticated Ladies and have remained friends and performing buddies ever since! Join their musical party in tribute and celebration of Duke Ellington and more in this critically acclaimed show under the musical direction of Ron Abel (Arranger/Conductor for such luminaries as Bette Midler, Johnny Mathis, Liza Minnelli, Mandy Patinkin, and Patti LuPone). Enjoy world-class jazz at the intimate and stunning Lighthouse, overlooking the ocean. Relish excellent music with food and wine in a relaxed nightclub setting. For more information about upcoming events, go to www.OnStageAtKingsborough.org.